And you know what…They were SO EASY to make!! So…I gave my oldest’s room a makeover this winter. Ever since, my two younger boys have been begging me to do their room too. An arrival of beautiful vinyl from Expressions Vinyl was just the kick in the rear I needed to get this makeover started! Need your own kick start? 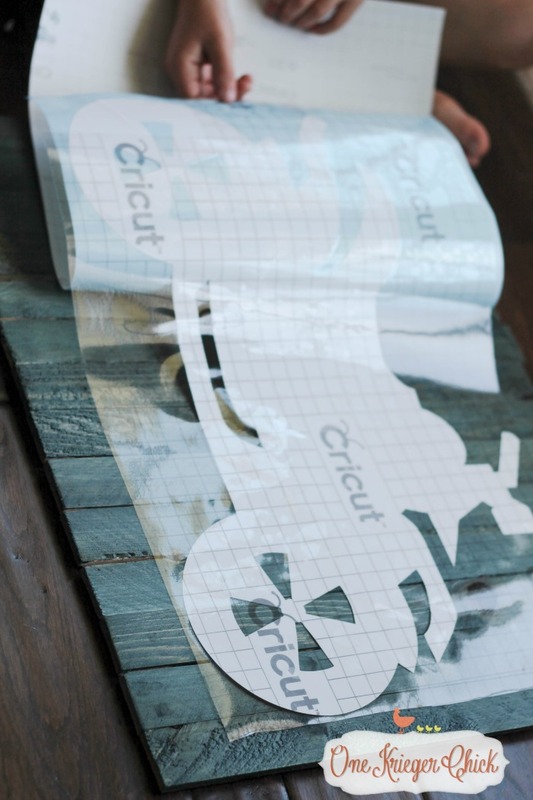 Enter to win $100 of Expressions Vinyl and the Amazing Silhouette School ebook by Melissa Viscount of Silhouette School. Exciting! 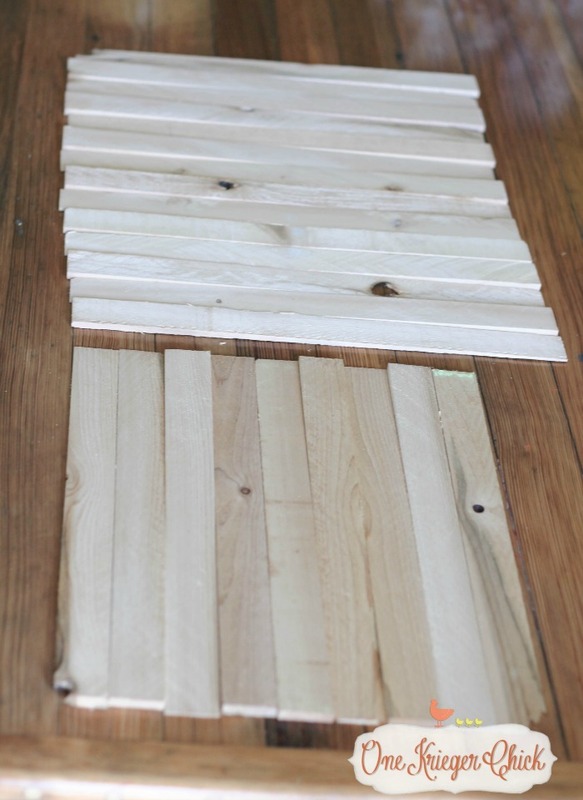 Start by deciding laying out the shims to form a pallet. Size is totally up to you. I used one package to make all three mini-pallets. 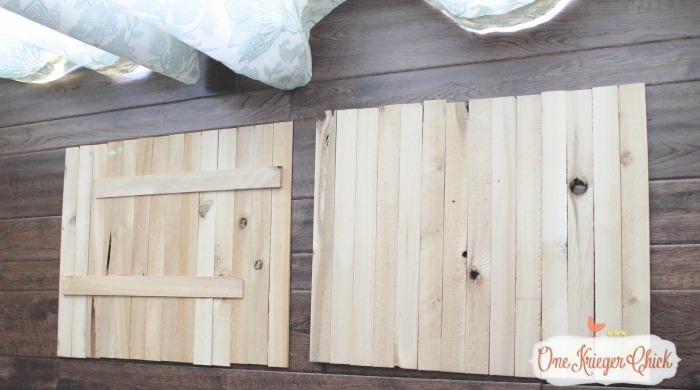 Once the glue has dried, stain or paint the pallets. 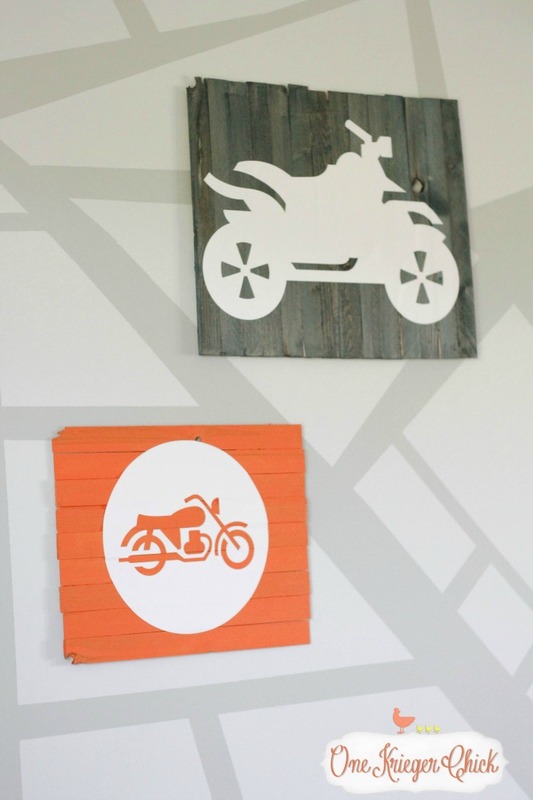 I stained two with Behr Atlantic Blue and painted one with an orange that I had on hand. Once the paper backing is off, the vinyl will be directly on the pallet with the transfer tape on top. 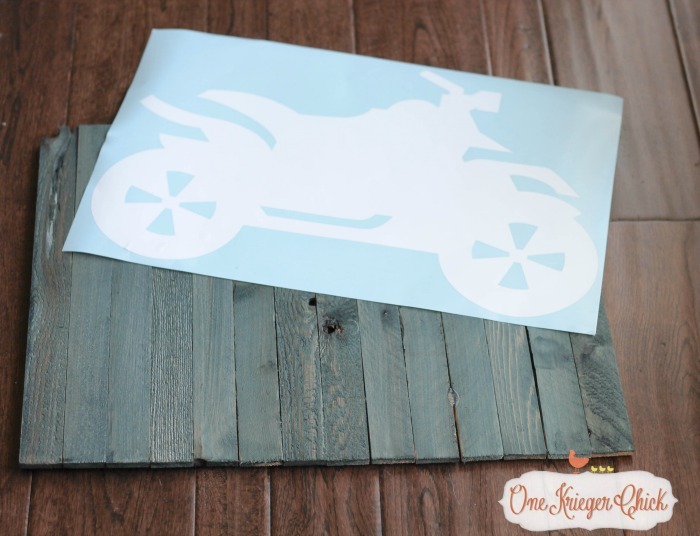 Press and smooth the vinyl onto the wood. 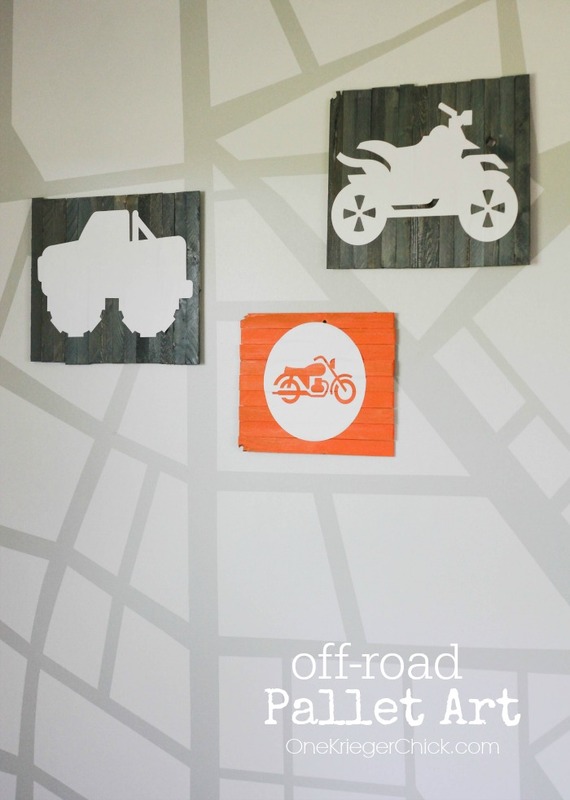 And there you have it…Off Road Vehicle Pallet Art…Quick, Easy, and Oh So Cool!! 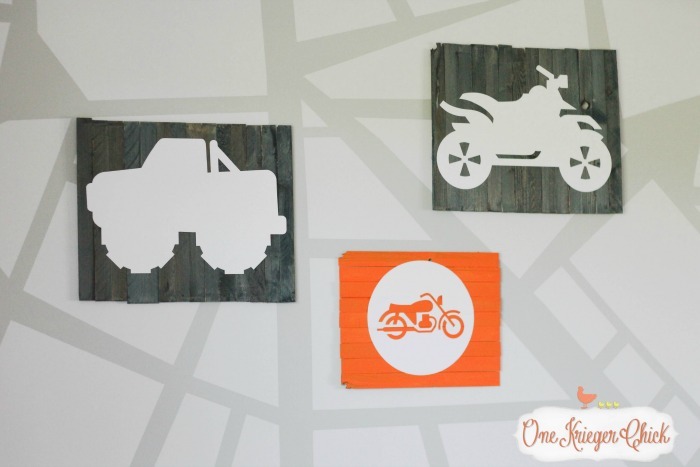 So loving how they turned out…Just what the room needed! 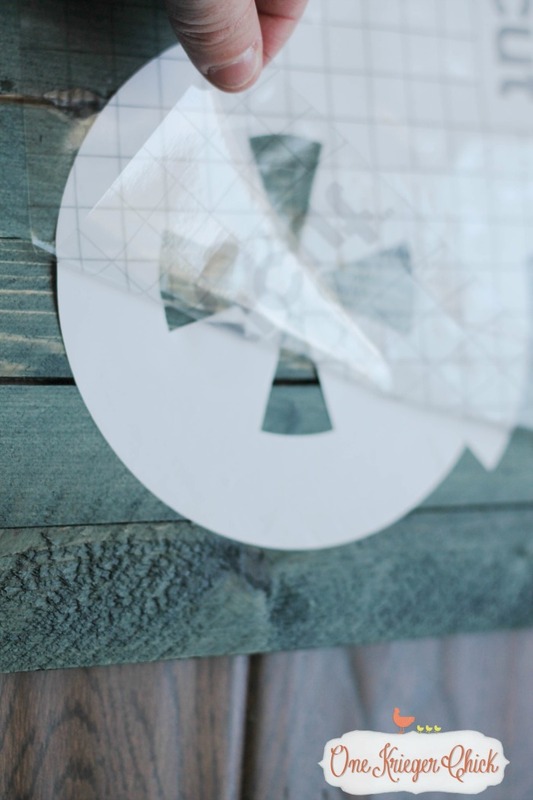 Next up…I’ll be showing how I created the feature wall. Super fun and Super EASY!